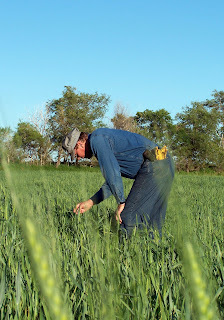 Above: "A farmer is a man out standing in his field." 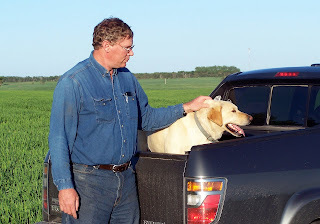 Above: Fred is in the field, checking to see if the wheat is flowering. Head scab, a potentially devastating fungal disease, infects the kernals when they flower. 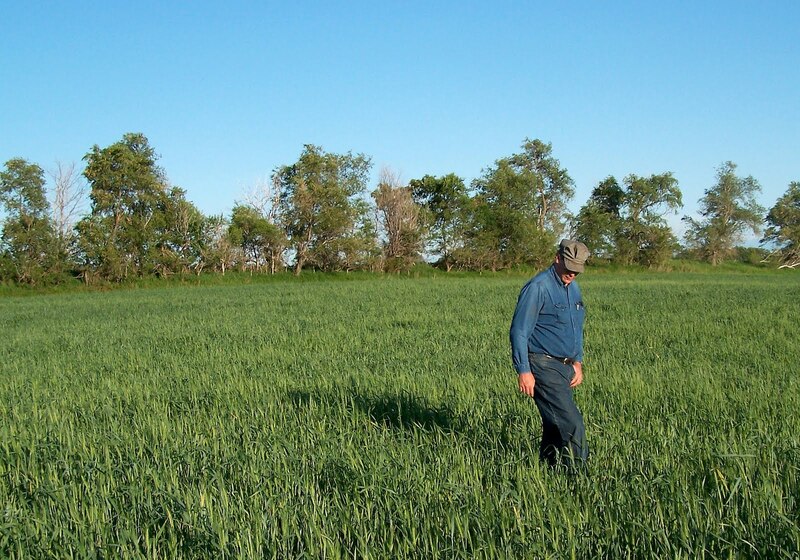 If conditions are favorable for head scab, fungicide must be applied before infection occurs. Optimal application time is early flowering. 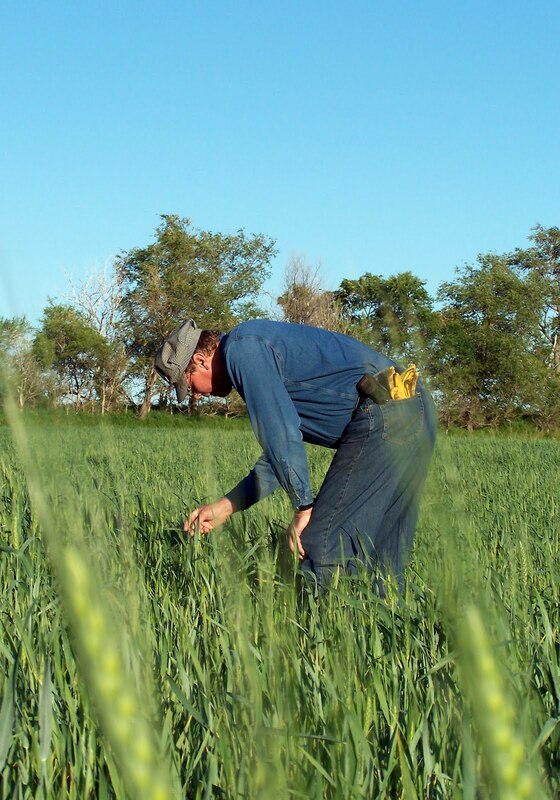 For more information on head scab, visit the NDAWN Disease Forecast website. 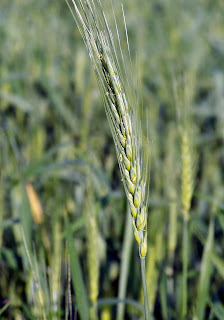 Above: A close-up view of a wheat head shows the flowering stage. 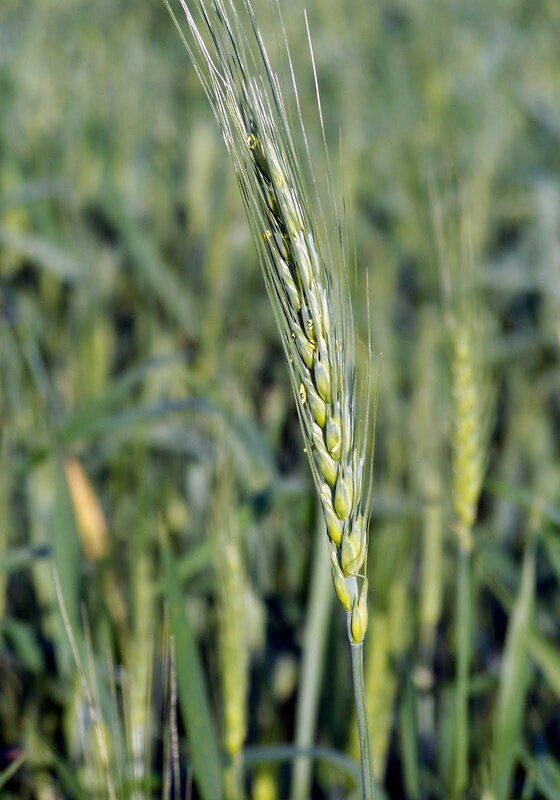 It is very hard to see if the wheat is flowering, as the buds are small. Notice the tiny yellow flecks along the shaft, visible when the photo is enlarged. Above: Fred and Butler are ready to move on to the next field. 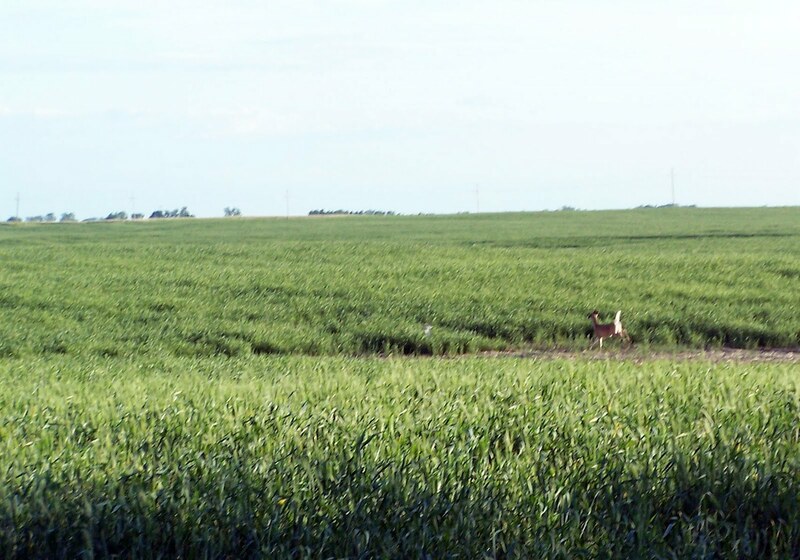 Above: A deer flees through a wheat field when it sees the pickup. It is located in the right-center of the photo (click on the photo to blow it up.) 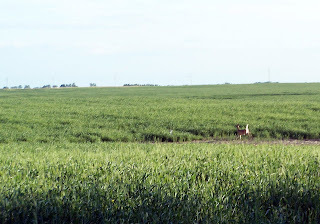 A bounding, white tail is a common site to drivers on the prairie.